This is a fun toy that a few of us discovered a while back. You can head to LearnGaelic to start speaking Scottish Gaelic (or Gàdhlig) with free, interactive, online lessons. The intro lessons include audio and illustrations, starting with food, physical descriptions, and (of course) the weather. Over 100 words for rain, apparently. It’ll also help if you ever visit the Outer Hebrides and want to ask a native whether the forecast is for a drizzle or monsoon. 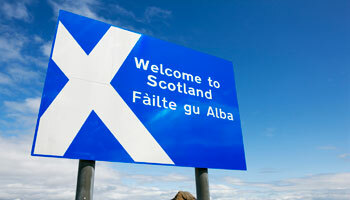 Once you get the basics down, the site has options for using and watching Gaelic and building up your grammar skills. Before you know it, balls will be talked through all in Gàdhlig, so get going with those lessons! Classes are all up and running across Chicago and we can’t wait to see everyone at our upcoming events. With the fall dancing season comes one big change: a new website. You can come here for all of your Scottish dance news or submit your own information to share with dancers in the region.